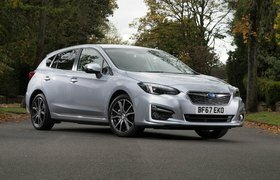 2018 Subaru Impreza review - price, specs and release date | What Car? Subaru owners often give a passing wave to one another on British roads, a fact that helps to illustrate the niche, left-field choice that the brand’s offerings have become here. Europe is the smallest market by far for the Japanese manufacturer, which enjoys much better sales success in its native country as well as North America. But it remains determined to make more of a sales impact in Europe and the UK, and since 2012 its SUV-focused portfolio has seen a steady increase in business. The new Subaru Impreza, you will have noticed, is not an SUV. Globally, it is the second-lowest-selling model in the Subaru line-up, below even the WRX STI, exceeding only the BRZ. Yet despite meager sales, Subaru says the Impreza is the best-known model in its range, thanks to its illustrious World Rally Championship history, and has deemed it worthy of a fifth-generation makeover, making it the first car to appear in the UK on Subaru's new Global Platform, which will underpin its next raft of models. The new Impreza is bigger than the previous model, and it gets an updated interior. There's a simple choice of two four-cylinder petrol 'boxer' engines – 1.6-litre and 2.0-litre units – with a CVT Lineartronic gearbox and one trim level (SE). Prices start at £23,995 for the 1.6 and £24,995 for the 2.0. Those are steep prices and there’s some stiff competition in the family car class. The Volkswagen Golf and Ford Focus are among the most recognisable and ubiquitous cars in the country and wrestle for sales in this class, along with the Skoda Octavia and Honda Civic. 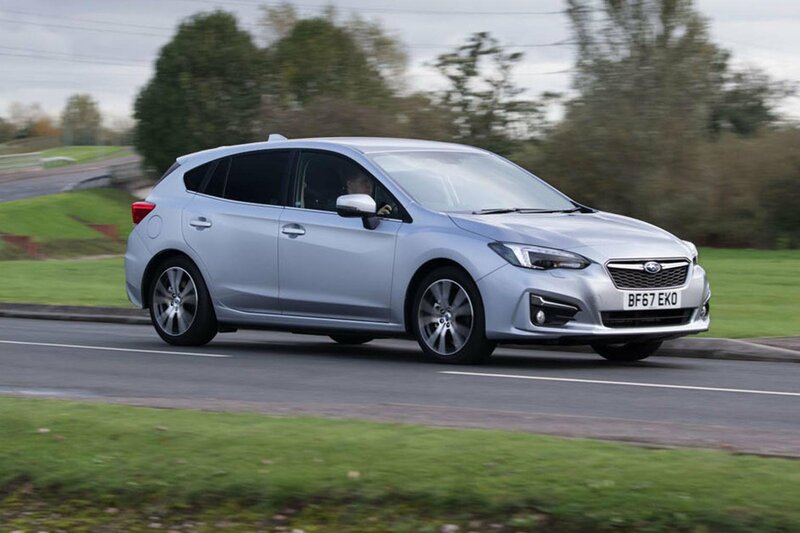 Does the new Impreza do enough to show itself to be a more palatable mainstream offering from Subaru, or is it still a niche choice? The 2.0-litre petrol engine fitted to our test car is a new option for the UK and the most powerful in the line-up, but, it doesn’t feel quick. It’s a naturally aspirated unit, rather than turbocharged, so acceleration is linear but with little meaningful zest. It doesn't pull particularly strongly from low revs, either. 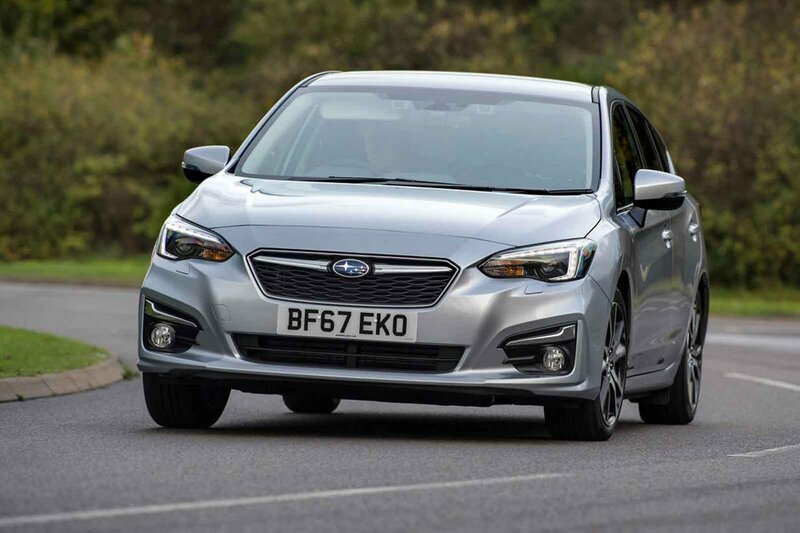 Subaru's CVT automatic gearbox doesn’t help things, either; any enthusiastic prod of the throttle sends the revs soaring and the engine screeching, but at least at a cruise it settles down. Indeed, engine noise in this situation is only a background hum, while wind noise is well suppressed, but there is a fair bit of road roar at speed. The Impreza's control weights are positive, though, and its brake pedal is especially well judged. Despite the fact that the ride is on the firm side, suggesting that the suspension might be tuned for sporty handling, there’s little to be had in the way of fun, with uncommunicative steering that makes the Impreza feel like a heavy car and not particularly agile. Inside, the Impreza is robust and cleanly designed, but there’s very little to set your heart aflutter. We only sampled a European-spec interior which had leather seat that won't be offered in the UK, but even so, it’s clearly set up for practicality rather than any beauty contests. There’s plenty of space for the driver and front passenger, while rear-seat occupants will find plenty of head and leg room too. The boot, meanwhile, is average for the class – bigger than the Ford Focus's and similar to those of the Volkswagen Golf and Seat Leon but dwarfed by the cavernous Skoda Octavia. The interior feels fairly robust throughout, and the infotainment system is positioned close to the driver, making it easy to operate on the move. It’s just unfortunate that the laggy touchscreen remains one of the poorer examples on the market. 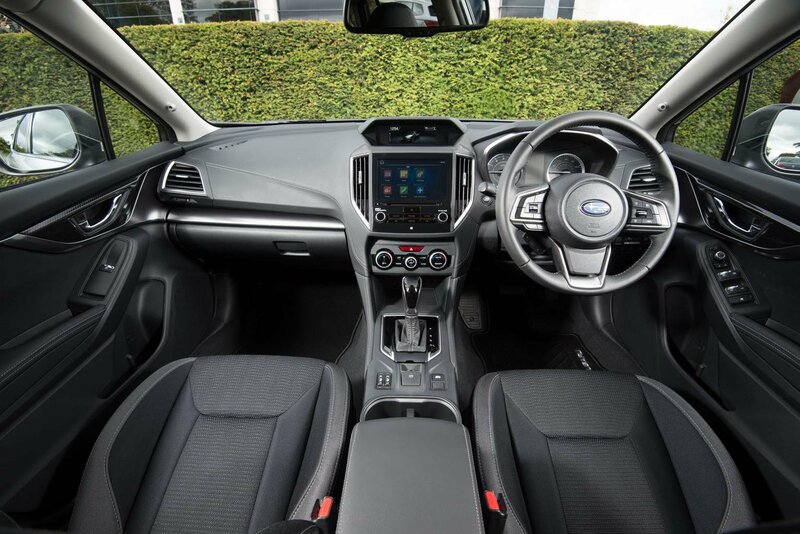 In the UK, the Impreza is offered in a refreshingly simple take-it-or-leave-it trim – SE – that comes with lashings of kit, including the 8.0in infotainment touchscreen, DAB radio, heated seats, Apple CarPlay and Android Auto, as well as a reversing camera. The notable omission is sat-nav. Subaru’s justification is that most people prefer to use their phone for navigation and the inclusion of Apple CarPlay and Android Auto therefore negates the need for it. The Impreza is yet to be tested by Euro NCAP but scored hugely impressive results in Japan’s official safety tests, and the manufacturer is confident it will do the same in Europe. In the UK, all models get Subaru’s Eyesight safety system as standard; this includes features such as adaptive cruise control, autonomous emergency braking and lane keep assist.